Fed up with things being a bit rubbish? Need to escape from the depressing trail of bad news stories that has become your Facebook feed of late? Then I invite you, cherished listener, to pour yourself a glass of something strong, settle into an imaginary (or real) wing-backed chair and take an hour out of your life for a bit of Tom Baker. You know it makes sense. 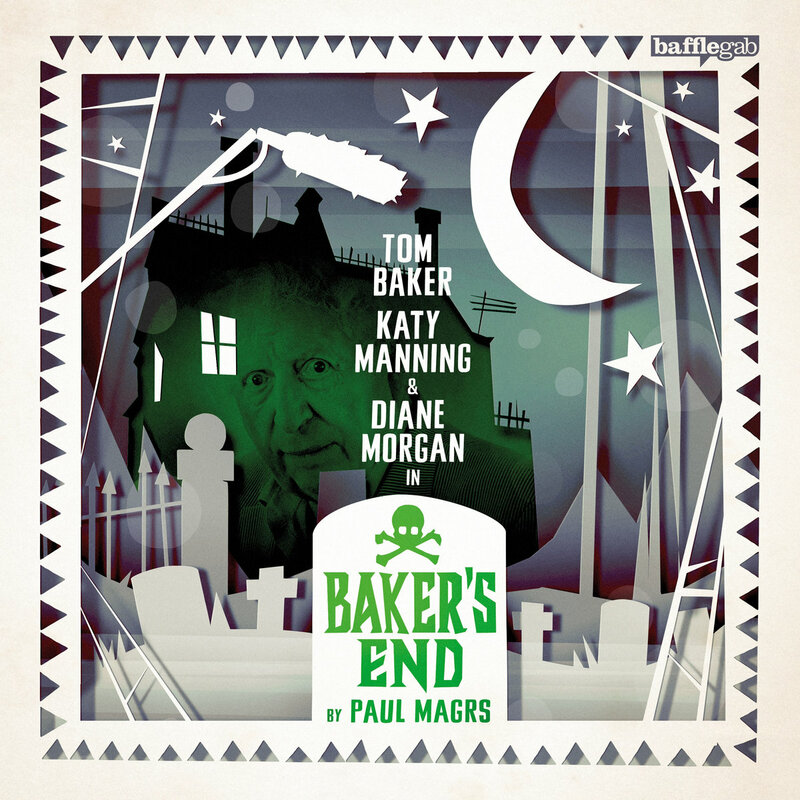 If you listened to The King of Cats, the first part of Bafflegab Production’s Baker’s End, then you’ll know what to expect here. And if you are a fan of glorious Charlie Brooker creation Philomena Cunk, then you’re in for a double treat, as Diane Morgan (the mighty Ms. Cunk herself) gets a starring role in the second part, Gobbleknoll Hall. In places, The King of Cats was just a bit too much for me. It ran at 100 miles per hour from the off, and though it was lots of fun, it all got a bit confusing towards the end. Don’t get me wrong: Paul Magrs’ script for Gobbleknoll Hall still rattles along, is still as barmy as a box of *stumber-wangles, but is a little less breakneck. 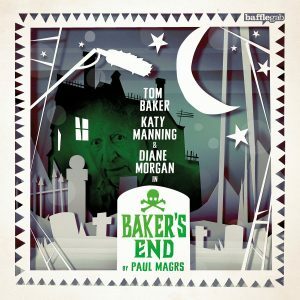 I actually welcomed this change of pace as it makes for a far more cohesive and coherent story, but don’t worry; there are plenty of things here that will fair make your wiffle-waffles perk up, and Tom Baker gets to let loose with some completely over the top Jabberwocky-evoking set pieces. *I made that one up. It’s what listening to this will do to you.